Highlights from the Radio London 30th Anniversary winter broadcast from the m.v. Ocean Defender in St. Katherine's Dock, London E2. Just what does happen when these guys meet again after 30 years? 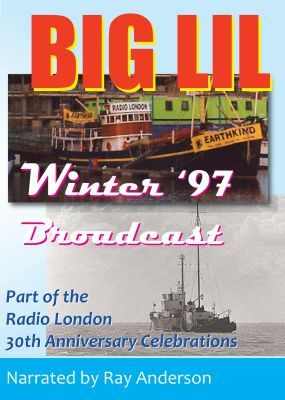 This winter broadcast brought the sound of Big L to the capital city for a special Christmas and New Year broadcast which really got the Big L sound swinging again to an appreciative London audience. See all our on board happenings with Ian Damon, Mark Roman, John Ross Barnard, Chris Baird, Ray Anderson, Dave Cash, Mitch, Tommy Vance, Ed Stewart and many others and see for yourself the great party atmosphere on board. Narrated by Ray Anderson.